In recent years we have seen significant growth in the number of student teacher placements (praticums) at the VSL. These are cooperative arrangements with a number of universities. This year we had students from Victoria University, Melbourne University and Monash University. This year we have begun a partnership with the Monash University Faculty of Education to offer placements for their trainee teachers. 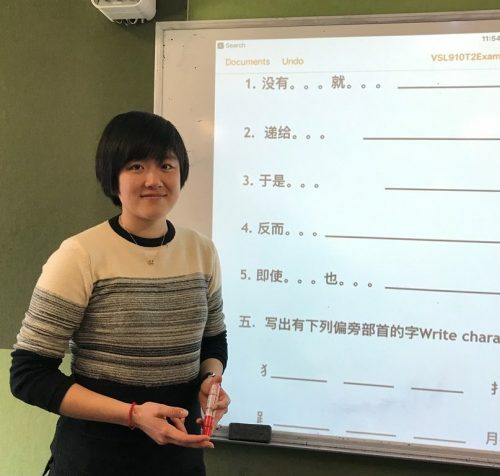 Eight students offering Chinese, German and Japanese have undertaken placements at various VSL Centres, insertion class programs and for a few days in Distance Education. Next year they are also hoping to undertake a large scale, tailored project for the training of Chinese teachers. 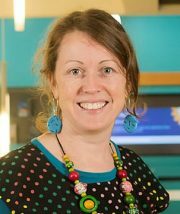 Monash University Director of Professional Experience, Dr Angela Fitzgerald, says that these placements are “critical to the development of the students as they bridge the gap between university learning and the reality of teaching in a classroom. The trainee teachers come from a range of backgrounds; with some having been students of the VSL themselves while others have had little knowledge of the VSL before their placement. However, something that they all share is their passion for language teaching and the joy of seeing positive student reactions and results. 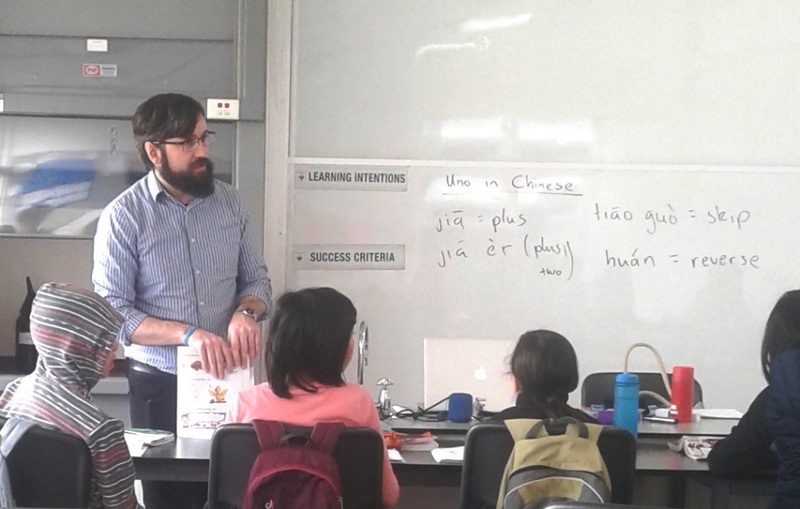 Chinese student teacher Oisin Collins explains how he has found it highly rewarding discovering which activities work and seeing students enjoy them and push themselves to further their learning through their own initiative. All student teachers are enjoying developing positive relationships with their students and gaining feedback from them. 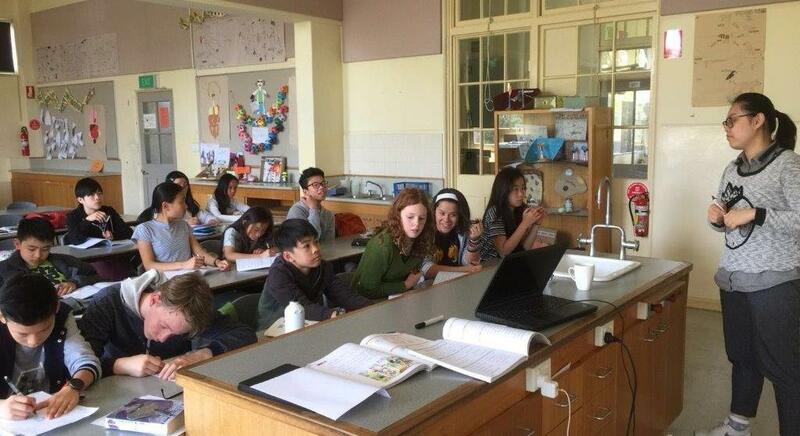 Nelly Yeung has enjoyed being able to “support her teaching with ideas and experience to share”. While they have all reported their VSL placement as a positive experience, it has, of course, not been without its challenges. 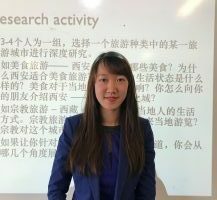 Yoon Ji Lee has discovered that “preparation is required for placement” while Shiying Li has had to learn “a different teaching and learning system”. 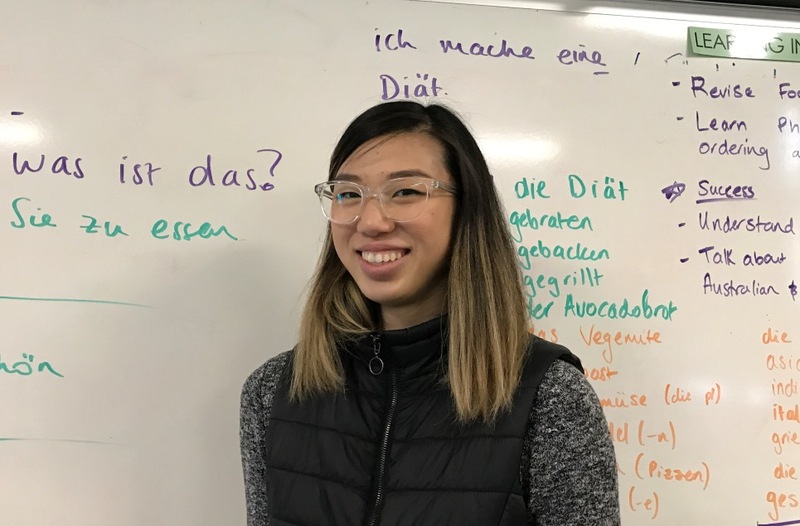 Lucy Ho explains how she has found it challenging catering to “the range of levels and abilities in one class”, which has been something that many of the other trainee teachers have also experienced. This is a point of difference that the VSL has from standard ‘day school’, however Oisin Collins believes that “what we make of that difference is the exciting part”. However, they all feel that they are progressing well, continually learning and deepening their understanding of class patterns and dynamics. In addition, they are taking on feedback from their mentors and feel very well supported by all VSL staff. Student teachers have described the VSL as, “welcoming”, “professional” and “fantastic”. 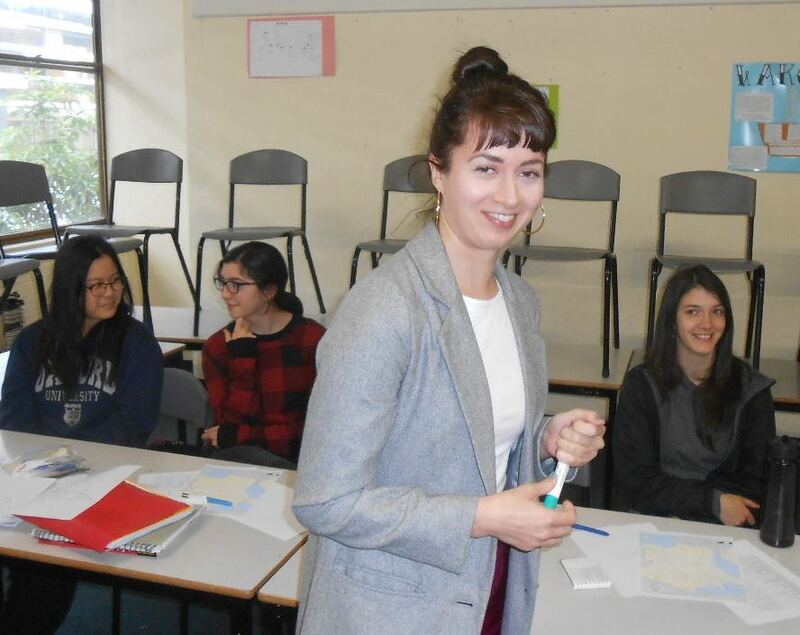 Clementine Roussel explains how she has “discovered a beautiful group of dedicated teachers and a great range of subjects”, while Katrina Du has already decided that she wants to apply for a job at the VSL in the future. Congratulations to all of them for a productive placement and progress on the path to becoming teachers. Image | This entry was posted in trainee teachers and tagged trainee teachers. Bookmark the permalink.